Marissa has had small parts in film and television productions as an extra, but this is her first major role. She lives in Alice Springs, where she attends high school and studies her newly favorite subjects – English and Drama. 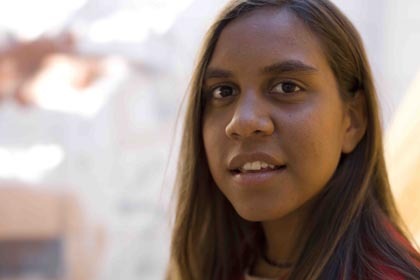 She speaks three languages – Warlpiri, Luritja and English, and until this year was studying Japanese language too. She put her acting wages towards a school study tour of Japan after the completion of filming. She loves to text-message and eat spring rolls from the Alice Springs Sunday Markets.